This page contains news about the latest online Adversary Mode in Grand Theft Auto V (GTA5), as well as details on the new vehicle introduced in the game’s latest multiplayer mode update. Grand Theft Auto V’s (GTA 5) popularity isn’t waning anytime soon, with the healthy amount of interesting updates, add-ons and mods players can use in the game. While a lot can be said for the amount of content found in the game’s single-player (offline) mode, its multiplayer feature Grand Theft Auto Online (GTA Online) provides endless hours of intense co-op and pvp action with other players. 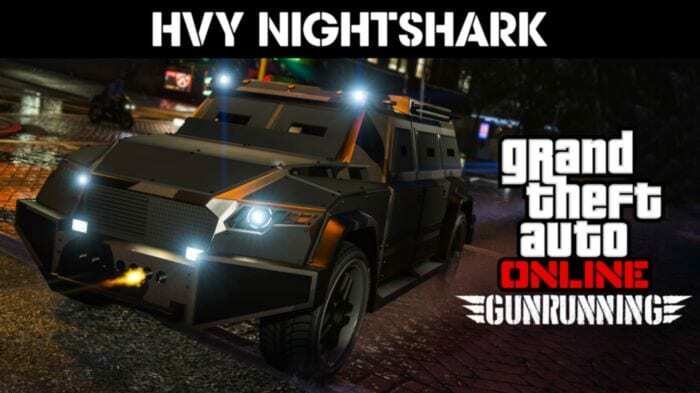 And for its latest update, Rockstar Games introduces an new Adversary Mode called Overtime Shootout, as well as a new vehicle called the HVY Nightshark. Overtime Shootout plays similarly to Overtime Rumble which requires players to drive a vehicle and shoot off a ramp to land on a marked spot. The only difference is that each player will have his turn to drive solo down the ramp without the other players sitting it out at the backseat. At the end of the game, the team with the most points wins. 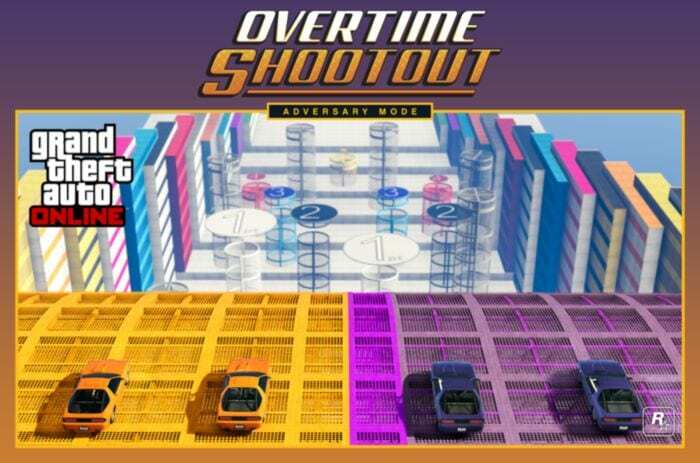 Overtime Shootout will reward players with double RP, as well as GTA$ until August 14. Associates and Bodyguards will also enjoy double salary rates during this period. Rockstar will also be releasing the new HVY Nightshark, an upgraded version of the standard Nightshark but with better armor protection. But what’s really awesome about this vehicle are the twin machine guns up front, allowing you to spray lead at anyone and anything in your way. You can buy the HVY Nightshark at the Warstock Cache & Carry and take this bad boy out for a spin. The Mobile Operations Centers at Warstock will also have a 25%-off sale for weaponized vehicle customizations. This also covers the Vehicle Workshop (including weaponized vehicles and mods), and new Mk 11 ammo and the Dewbauchee Vagner Supercar. Mountain Drop and Maze Bank Arena are this week’s Premium Race and Time Trial events respectively. Players will receive triple RP for the former, while the top three finishers will rake in big GTA$. Maze Bank Arena will also reward a fat sum of GTA$ and RP to players who can break the set record time.